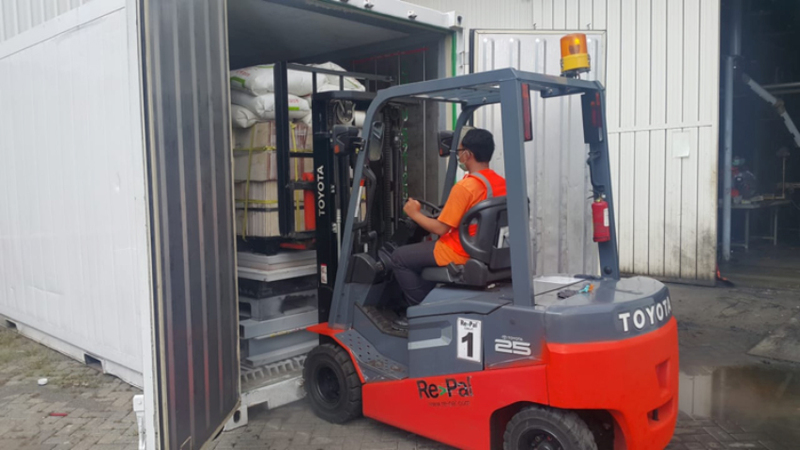 International Flavors and Fragrances (IFF) in the Philippines have reordered with Re>Pal for their export shipments; IFF’s strong commitment to sustainability is clear in their commitment to Re>Pal. 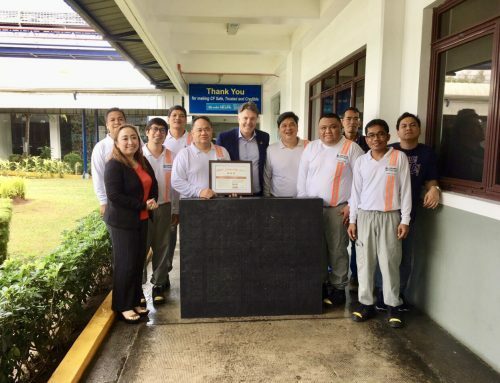 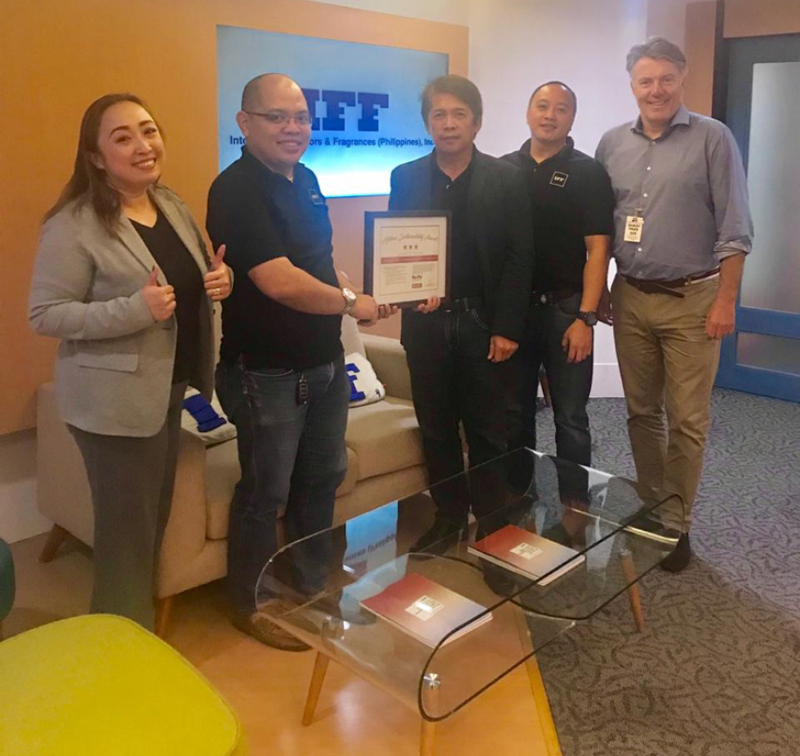 Pictured with Stephen Bowhill (CEO, Re>Pal) is Mr Nomer Batac – Safety and Compliance Manager Mr Christian Dimapindan – Logistics Manager and Mr Danny Cuya – Finance Controller and Re>Pal’s head of sales in the Philippines Ms Leah Magdamit. 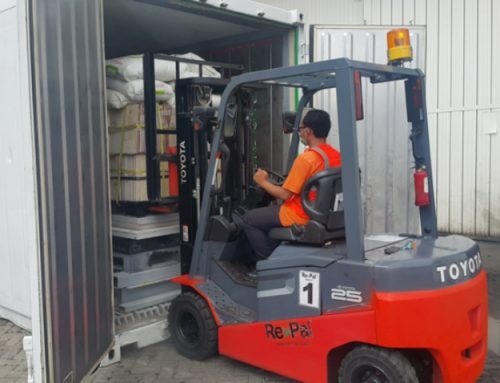 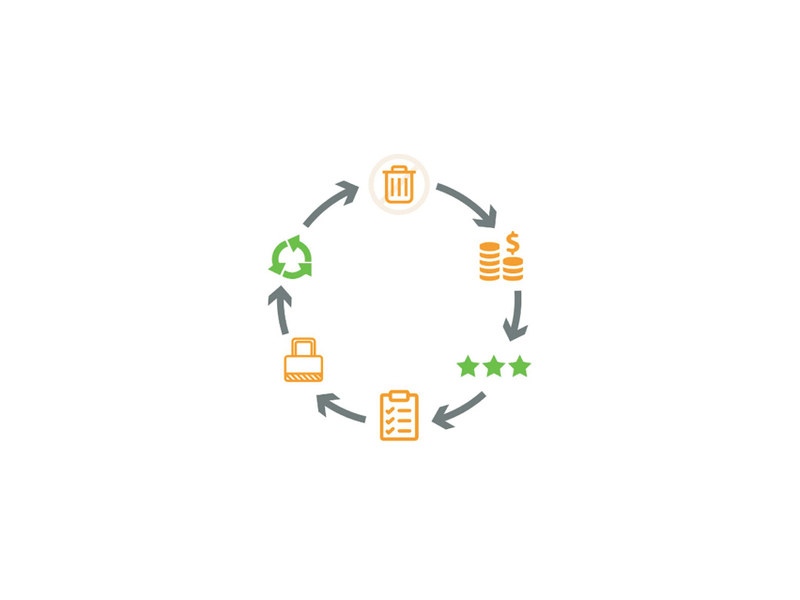 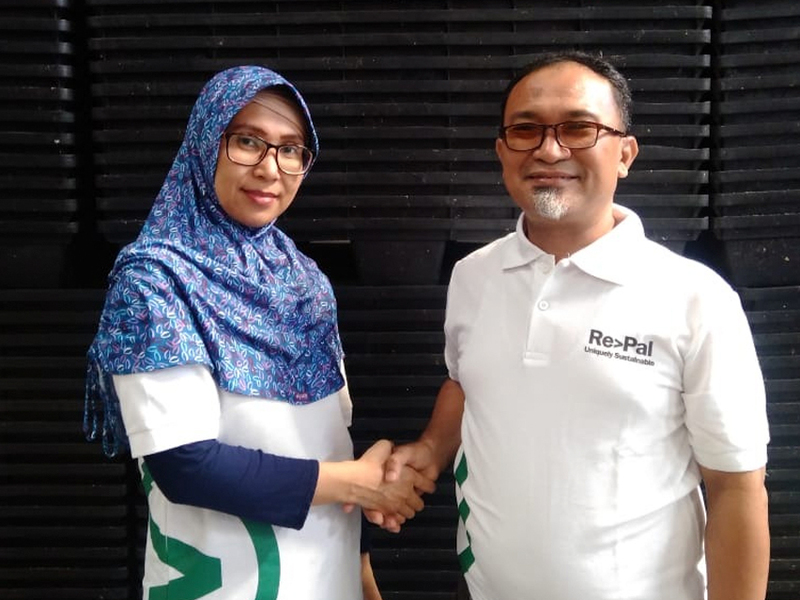 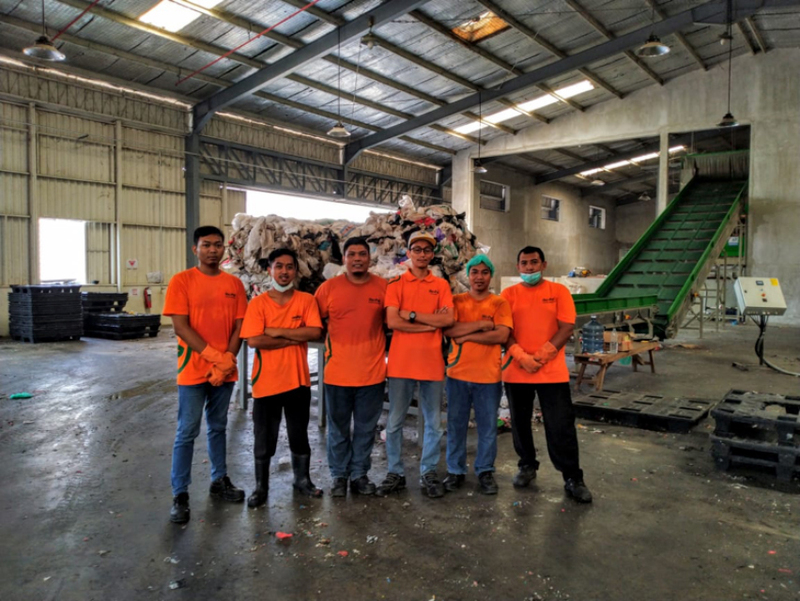 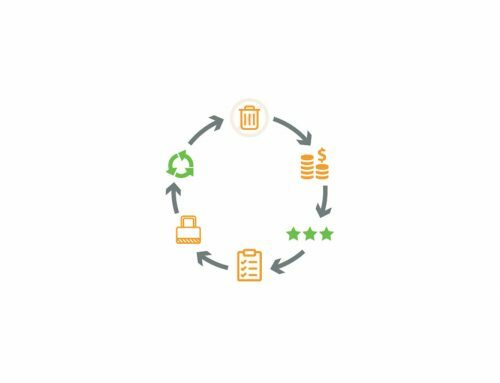 Mr Christian from IFF has been a long-term supporter of Re>Pal, and spent time trialling Re>Pal plastic to ensure the pallets were suitable for their sensitive packaged food and fragrance products.